Mitel versus Shoretel is a common comparison made by business owners, IT managers/directors and CIO’s when trying to make a final decision on which phone solution to select. In this article we will take a look at some of the key differences between these services and also take a look at some of the phone models. Enhanced accessibility keeps your staff mobile and organized. Greater network redundancy means improved reliability. Managed systems reduce IT resource costs and ensure uniformity. The growing list of hosted UC solutions includes packages from many recognized VoIP leaders, including Mitel (MiCloud Business) and ShoreTel (Connect CLOUD). Each of these systems offers a wide array of features and integrated applications designed to streamline both internal and external communications, though ultimately only one will prove to be the best option for your organization. Advertising a seamless experience and the option to connect from any Internet-enabled device, MiCloud Business is one of the more popular UC solutions currently available. Highlights include a clean, simple customer control interface, redundant data facilities plus optional Salesforce integration. For end users, MiCloud Business offers single-screen management of voice communications, e-mail and instant messaging, ensuring productivity on any device. A host of features are included out of the box, including call accounting and recording, video collaboration and more. 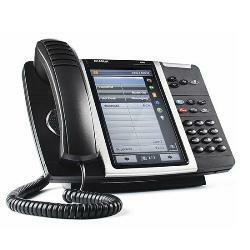 Utilize Mitel phones, PC-based softphones or communicate via supported mobile devices. Auto Attendant provides added safeguard during periods of disruption, with option to continue receiving calls via Mobile Twinning. Local phone numbers, unlimited local and long-distance calling available in MiCloud Business Advanced. Multiple product architecture is suited to small- and medium-sized businesses, but not as frequently favored by larger enterprises. No standard pricing available; must make direct contact for individual sales quotes. Phones do not support industry standard SIP protocol. ShoreTel’s cloud-based UC solution is much like MiCloud Business in several ways: both are hosted and maintained remotely, both offer redundant data center performance to minimize downtime and both offer an assortment of standard features. ShoreTel also offers Customer Relationship Management (CRM) integration for a number of applications, including Salesforce, Microsoft Dynamics, ACT! and NetSuite. Connect CLOUD offers many features for mobile workers as well, including remote connectivity, easy conference joining, online messaging and video calling. ShoreTel products are noted for their strong scalability and ability to support large numbers of users; the company also advertises a lower total cost of ownership (TCO) when compared against competing products. Popular choice of medium-sized businesses and large enterprises thanks to scalability of single-platform architecture. ShoreTel is recognized by clients for offering quality customer support with noted ease of accessibility. Fully integrates with a large number of CRM programs, Applicant Tracking Systems (ATS) and Enterprise Resource Planning (ERP) applications. Smaller overall market share and brand awareness when compared against key competitors, particularly outside North America. 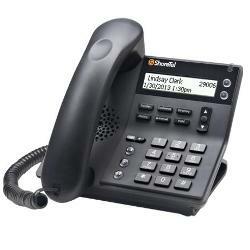 ShoreTel phone sets are not rated as highly versus comparable products with regard to overall quality. Product pricing is only available on request from a sales representative. Note that while the ShoreTel phones support the standard SIP protocol, the Mitel phones only support the proprietary MiNet protocol. This in effect means that if you decide to switch providers then your Mitel phones will not be supported, while there is a good chance your ShoreTel phones will still work with most other providers. Display 640x480, backlit, VGA color, touchscreen 5.7" 800x480, backlit, color, touchscreen 7"
Dimensions 12.7" x 6.5" x 6.5"
(32.0 x 17.0 x 16.7 cm) 10.1" x 7.5" x 7.1"
Next, ShoreTel’s IP485g and Mitel’s MiVoice 5340 are compared. Both are mid-level, high-usage phones designed for sales and support professionals. 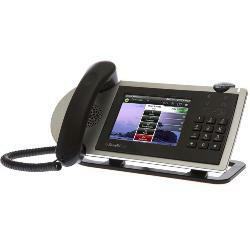 While the MiVoice hardware again offers greater display size, it comes with a much lower resolution and is not color. 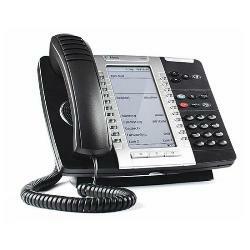 The Mitel 5340 phone is again outdone when it comes to the number of lines supported in comparison to the ShoreTel IP485g. Dimensions 9.6" x 5.3" x 4.8"
(24.4 x 13.5 x 12.2 cm) 9.2" x 7.5" x 7.1"
Dimensions 6.6" x 5.3" x 4.8"
(16.7 x 13.5 x 12.2 cm)) 10.5" x 4" x 3.5"
Another aspect to consider when comparing providers against each other are user submitted ratings. We have thousands of user submitted ratings for hundreds of providers. Below is a side-by-side comparison of the ratings submitted for Mitel and Shoretel. While both Mitel and ShoreTel offer many of the same features in their cloud VoIP solutions, there are a few distinguishing factors to be considered. 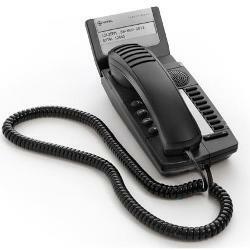 Mitel is frequently recognized for its ease of use, outstanding network reliability and high-quality phone hardware. They serve a greater number of customers overall and as of 2015, reported a staff size and revenue about four times greater than ShoreTel. 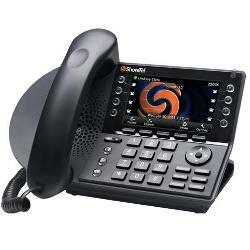 ShoreTel is regarded for their responsive support, full-featured IP phones and exceptional scalability. Perhaps most importantly, they advertise the lowest TCO, a claim backed by an independent Nemertes Research study published in March 2015. ShoreTel was found to offer one of the lowest implementation costs as well as a lowest-overall five-year cost of operation: $566 expected; Mitel clocked in at $817 in the same study, or a difference of about $42 annually. Ultimately, the UC system you choose will boil down to your organization’s specific needs and priorities. For detailed pricing of these services, please contact their respective providers for more information. Here are some other popular providers worth comparing to Mitel and Shoretel.